Tonsils are lymphatic nodes usually two, which can be seen appearing on either side of ones throat. The main purpose of tonsils is to defend your body system thereby helping it withstand infections. Tonsillitis is therefore a condition that results from infection of the tonsils. Although tonsillitis is synonymous with children infections, it can affect any age group. Mainly it affects preschool children as well as school going kids and those who are just attaining teenage hood. Major symptoms of tonsillitis could include fever, swollen tonsils, and sore throat. 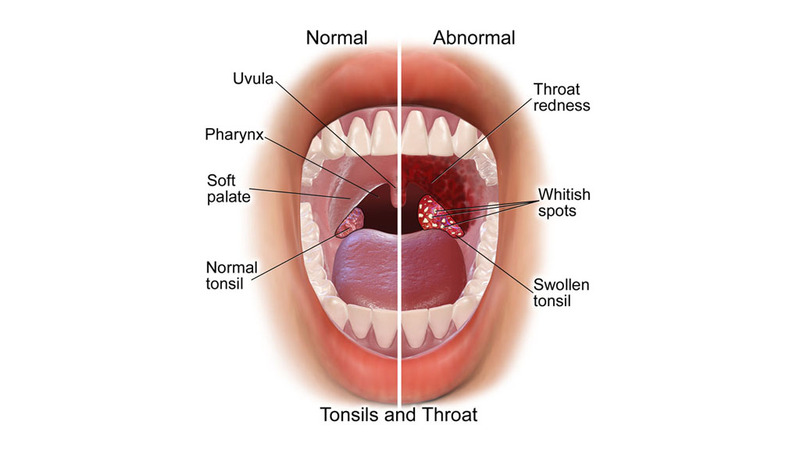 Tonsillitis is a contagious infection which is mainly caused through infection by known bacteria and viruses for example the bacteria responsible for causing strep throat called streptococcal bacteria. Tonsillitis caused by this kind of bacteria (streptococcal) can be very dangerous if not treated. Diagnosis of tonsillitis is very simple and normally the visible symptoms disappear on their own in about seven (7) to ten (10) days. Tonsils remain to be your body’s immediate defense mechanism when diseases strike. Tonsils act by producing WBCs (white blood cells) to enable your body system fight invading pathogens protecting you from getting tonsillitis. All viruses and bacteria that invade your body via mouth opening are handled by tonsils. It is also good to remember that tonsils are never indispensable and are likely to be affected by the invading tonsillitis causing bacteria and viruses. Tonsillitis usually caused by infection from bacteria for example strep throat or viral infection like flu. AAFP (American Academy of Family Physicians) says that between 15% and 30% of tonsillitis patients are as a result of bacterial infection and in many cases the streptococcal bacteria is involved. 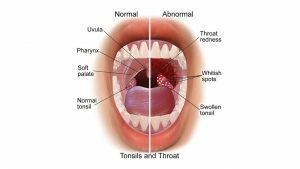 Commonly tonsillitis is caused by viruses for example Epstein-Barr virus causes both mononucleosis and tonsillitis. At schools children become more vulnerable to tonsillitis causing germs since they get into contact with their colleagues thereby exposing themselves to a number of bacteria and viruses. For the case of children with tonsillitis, you are likely to see them get irritated easily, poor eating habits, or too much drooling. When is the appropriate time to visit a doctor? It is unusual to experience heavy swelling of the throat as a result of tonsillitis to even make it hard for one to breath but in case it does happen visit a doctor to get medically checked. Take note that in many occasions’ bouts of tonsillitis do disappear after a number of days without medical attention but tonsillitis bouts may prove very challenging to require medical treatment.